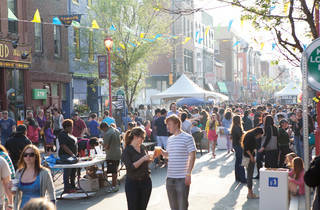 This storied thoroughfare in Philly is the place to be during the South Street Spring Festival. 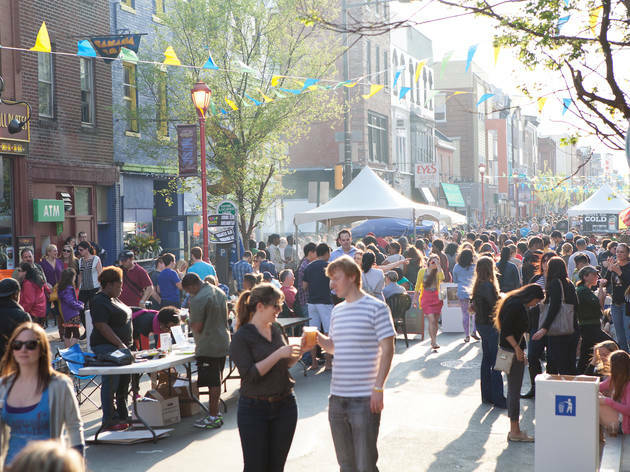 The free celebration closes the east end of the street to vehicular traffic, making room for more than 100 vendors, dozens of bands playing live music and loads of artists selling handmade goods. Local restaurants and cafés offer outdoor dining, and culinarians from other parts of the city also set up onsite to feed hungry festival goers.